Private equity firm Cerberus has put U.S. firearms maker Freedom Group up for sale following Friday's killing of 20 children and 6 adults at the Sandy Hook school shooting in Connecticut. Freedom Group includes Bushmaster, maker of the rifle used in the shooting at the school in Newtown. Cerberus bought Bushmaster in 2006 before adding another 10 makers of firearms, ammunition and accessories to the group. "It is apparent that the Sandy Hook tragedy was a watershed event that has raised the national debate on gun control to an unprecedented level," Cerberus Capital Management said in a statement. Cerberus will hire advisers to carry out a sale of the company, and return the money to its investors, which include the California State Teachers' Retirement System (CalSTRS). The investment firm said it was not seeking to influence the debate on gun control but had decided to sell Freedom Group to protect the interests of its clients, which also include the pension plans of other municipal workers, endowments, institutions and individuals. CalSTRS, which manages the pensions of California public schoolteachers, said Tuesday that its internal policies require it to consider the "social, human and environmental impacts" of where it invests its money. "Moving forward CalSTRS will work to ensure that all of our investments are taking these very important criteria into consideration," CalSTRS said in a statement. Cerberus is not the only private equity firm with significant holdings in the U.S. gun industry. Longpoint Capital tripled its investment in Savage Sports, which makes rifles and shotguns, when it sold the firm in January in a management buyout backed by Norwest Equity Partners. 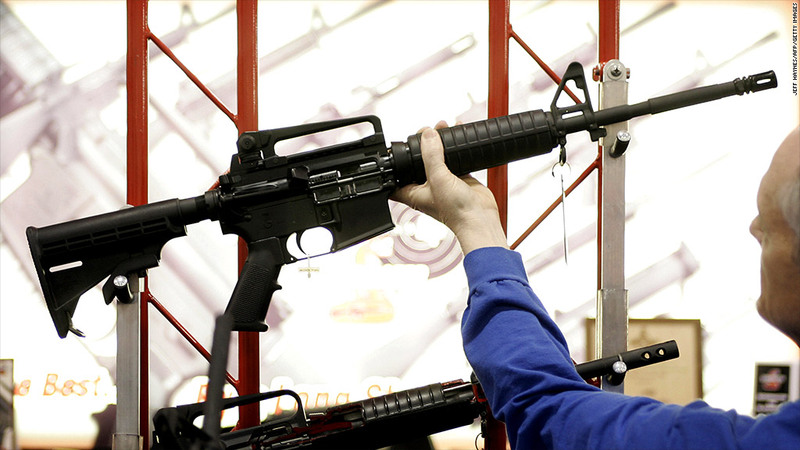 Sciens Capital Management owns a stake in Colt Defense, the small arms maker. Gun accessory maker Bushnell is owned by Midocean Partners, and distributors Jerry's and Ellett Brothers are owned by Wellspring Capital. Shares in publicly traded gun makers Smith & Wesson (SWHC) and Sturm, Ruger (RGR), as well as hunting retailer Cabela's (CAB) fell Monday on signs that politicians may introduce new gun controls. President Barack Obama has indicated that he will try to bring back restrictions on military-style rifles. In the second presidential debate in the fall, Obama said he was going to see "if we can get an assault weapons ban reintroduced." Speaking at a vigil for the victims and families Sunday night, he said he would use "whatever power this office holds ... in an effort aimed at preventing more tragedies like this."